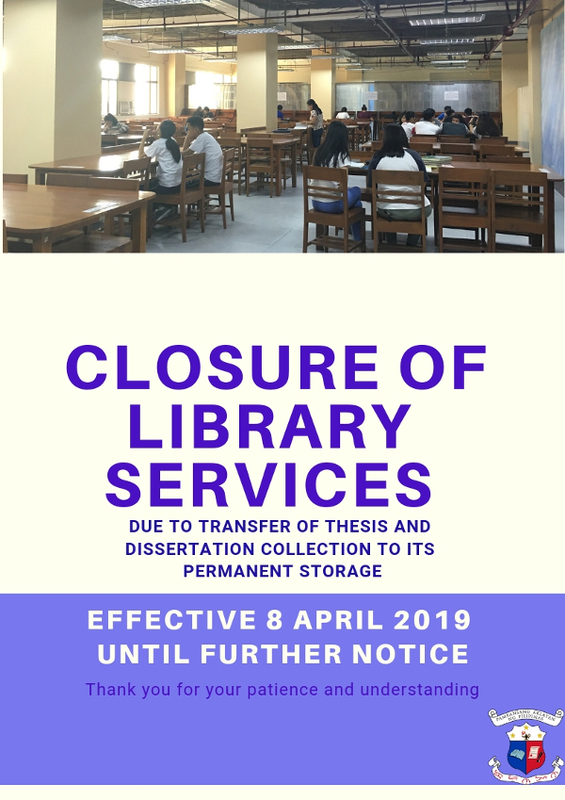 The reading services of Theses and Dissertations Collection will be temporarily closed effective April 8, 2019 due to transfer of library materials to its permanent storage. Thank you for your patience and understanding. The reading services of Theses and Dissertations Collection is now open. Materials and facilities are still limited. Other reading rooms are still closed and undergoing relocation due to construction activities. Thank you for your patience.